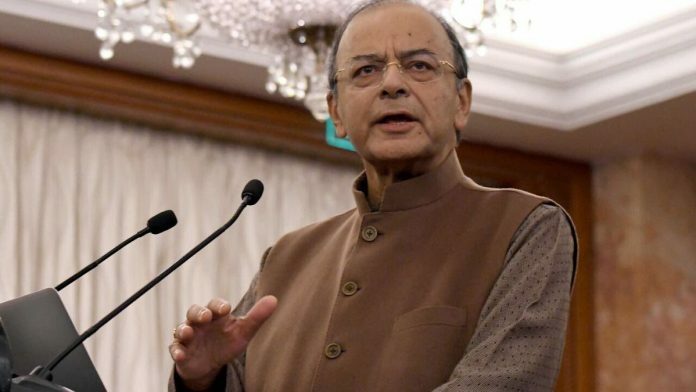 In a Facebook post Thursday, Arun Jaitley said demonetisation was a key step in a chain of important decisions taken by the government to formalise the economy. Financial inclusion was another important step to ensure that even weaker sections became part of the formal economy. Jan Dhan accounts have resulted in most people being connected to the banking system. The Aadhaar law has ensured that Direct Benefit Transfer of government support system reached directly into the bank accounts. The GST has further ensured that in the matter of indirect taxes, the tax procedures become simple. It is now becoming increasingly difficult to evade the tax system. India was a cash-dominated economy. Cash involves anonymity in transactions. It bypasses the banking system and enables its possessors to evade tax. Demonetisation compelled holders of cash to deposit the same in the banks. The enormity of cash deposited and identified with the owner resulted in suspected 17.42 lakh account holders from whom the response has been received online through non-invasive method. The violators faced punitive actions. Larger deposits in banks improved lending capacity for the banks. A lot of this money was diverted to the mutual funds for further investments. It became a part of the formal system. An ill-informed criticism of the demonetisation is that almost the entire cash money got deposited in the banks. Confiscation of currency was not an objective of demonetisation. Getting it into the formal economy and making the holders pay tax was the broader objective. The system required to be shaken in order to make India move from cash to digital transactions. This would obviously have an impact on higher tax revenue and a higher tax base. The Unified Payment Interface (UPI) was launched in 2016 involving real-time payments between two sets of mobile holders. Its transactions have grown from Rs 0.5 billion in October 2016 to Rs 598 billion in September 2018. The Bharat Interface for Money (BHIM) is an app developed by NPCI for quick payment transactions using UPI. It is currently used by 1.25 crore people. The value of BHIM transactions has gone up from Rs 0.02 billion in September 2016 to Rs 70.6 billion in September 2018. The share of BHIM transactions in overall UPI transactions is at about 48 per cent in June 2017. The RUPAY Card is used both at the Point of Sale (PoS) and for e-commerce. Its transactions have increased from Rs 8 billion before demonetisation to Rs 57.3 billion in September 2018 for PoS and from Rs 3 billion to Rs 27 billion in e-commerce. Today Visa and Mastercard are losing market share in India to indigenously developed payment system of UPI and RUPAY card whose share have reached 65 per cent of the payments done through debit and credit cards. The impact of demonetisation has been felt on collection of personal income tax. Its collections were higher in financial year 2018-19 (till 31-10-2018) compared to the previous year by 20.2 per cent. Even in the corporate tax, the collections are 19.5 per cent higher. From two years prior to demonetisation, direct tax collections have increased 6.6 per cent and 9 per cent, respectively. In the next two years, post-demonetisation, the increase [was] by 14.6 per cent (part of the year-before impact of demonetisation in 2016-17) and an increase of 18 per cent in the year 2017-18. In May 2014, when the present government was elected, the total number of the filers of income tax returns was 3.8 crore. In the first four years of this government, it has increased to 6.86 crore. By the time the first five years of this government are over, we will be close to doubling the assessee base. Demonetisation and implementation of the GST curbed cash transactions in a big way. An increase in the digital transactions is visible. This formalisation of the economy has led to the tax payer base increase from 6.4 million in the pre-GST regime to 12 million tax payers in the post-GST regime. The actual consumption of goods and services being recorded as a part of the tax net has now increased. This has given a buoyancy to the indirect tax growth in the economy. This has benefited both the Centre and the states. Every state, post-GST, is getting a mandatory 14 per cent increase in the taxation each year. The fact that assessees have to now declare their business turnover not only impacts the indirect tax calculations, but also ensures that income tax arising out of them is disclosed in the tax assessments. In 2014-15, the indirect tax to GDP ratio was 4.4 per cent. Post-GST. it has climbed up by at least one percentage point to 5.4%. Despite an annual income tax relief of Rs 97,000 crore given to the smaller tax payers and a Rs 80,000 crore relief given to the GST assesses, tax collections have gone up. Rates of taxes, both direct and indirect, have been reduced, but tax collections have gone up. The tax base has been expanded. GST rates on 334 commodities, which were paying an effective 31 per cent tax pre-GST, have witnessed a tax reduction. Government has used these resources for better infrastructure creation, social sector and rural India. How else could we visualise villages being connected by road, electricity in every home, 92 per cent coverage for rural sanitation, a successful Awas Yojana, a cooking gas connection in 8 crore poor homes. Ten crore families are covered under Ayushman Bharat, Rs 1,62,000 crore is being spent on subsidised food, 50 per cent increase in MSP for farmers and a successful crop insurance scheme. It is the formalisation of the economy which has led to 13 crore entrepreneurs getting Mudra Loans. The Seventh Pay Commission was implemented within weeks and the OROP was finally implemented.